When it comes to fantastic food and wine, Chicago Gourmet is the place to be. The two day experience at Millennium Park lets guests have the opportunity to sip, walk and eat through some of the best restaurants in the city, all in one spot. 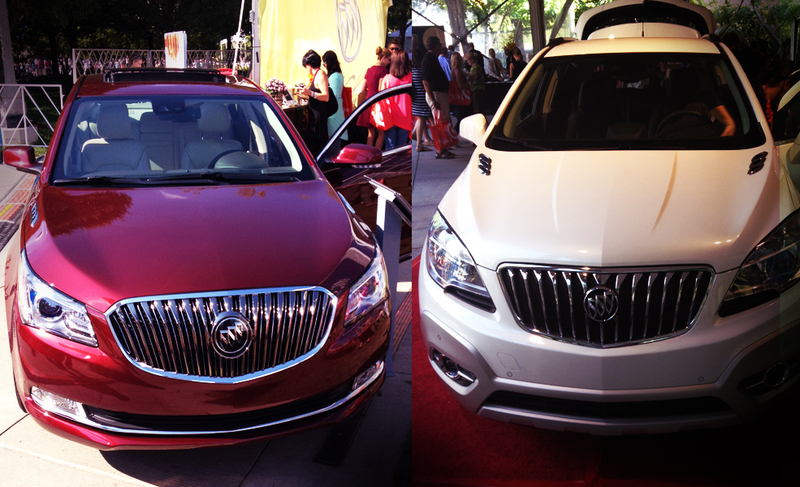 We enjoyed chef tastings and getting the chance to check out the all new 2014 Buick. It was hard to miss the cars and to my curiosity, I had to check out the luxury 2014 Encore Crossover. Safety is a unique aspect to Buick cars because if you’re ever in an accident, an airbag pops in between the two front passengers– something that no other car has. Overall it’s a compact car, perfect for city life and for short family road trips and a great contender for anyone looking to buy a new luxury car. On the previous night, I had the chance to warm up to Chicago Gourmet and meet some of the Buick execs and an intimate group of bloggers at GT Fish and Oyster. At the restaurant, I was expecting the usual large table on the noisy main floor, but we were taken to a private dining room in the basement of the restaurant, right after a series of small hallways, led us to an old fridge entrance. In that hidden space, we were met with appetizers, and DIY drinks were available to kick off the evening before indulging in more light bites. After a great night, all guest had the opportunity to have a courtesy ride home in 2014 Buick – mine was a Lacrosse. 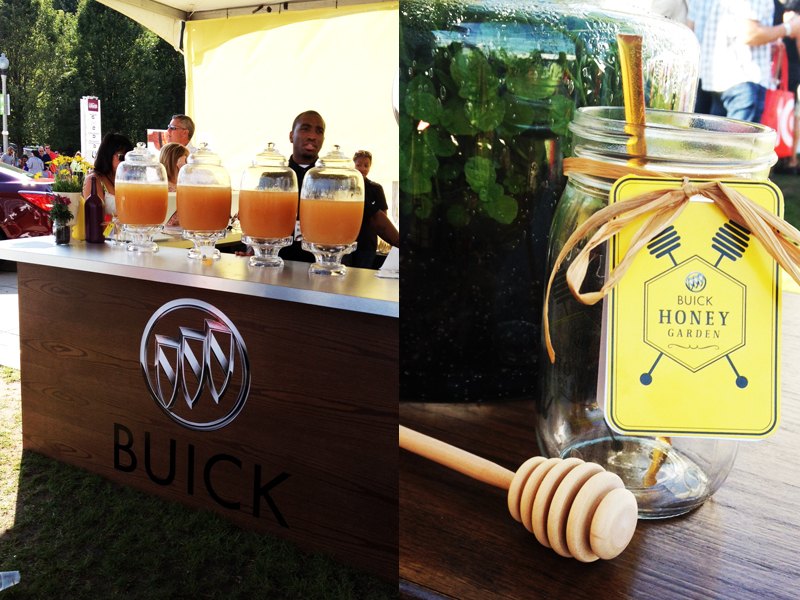 If you follow me on Instagram, remember the sweet treat at the Buick Honey Garden? Here’s the recipe! *Combine all ingredients and shake in an iced cocktail strainer. Strain into a glass filled with crushed ice. *Dissolve 1 part honey in 1 part warm (not boiling) water. Stir until dissolved.